UPDATE ON DEC. 12: 18-year-old Abigail Bridgette Fischl was named as the victim of the North Las Vegas shooting. The Clark County Coroner has listed the official cause of death as a gunshot wound to the abdomen. UPDATE ON DEC. 11: North Las Vegas Police have arrested Jamario Washington (20) for the shooting death of the 18-year-old woman at the convenience store near Ann Road and Tropical Parkway. He was booked for murder with a deadly weapon and attempted murder. 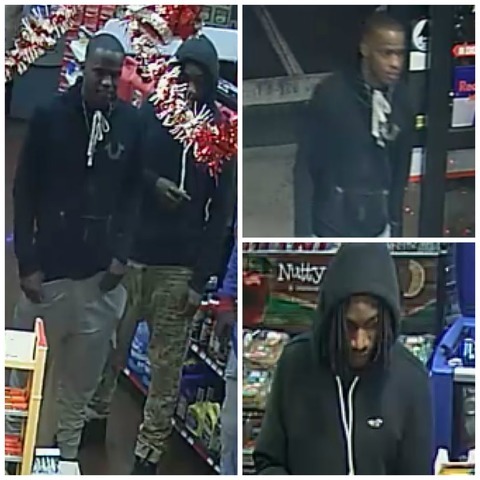 UPDATE ON DEC. 10: North Las Vegas Police released photos of two men wanted for questioning in connection with the homicide that happened near Ann Road and Tropical Parkway. Anyone with information is urged to call 702-633-9111. ORIGINAL STORY: NORTH LAS VEGAS (KTNV) -- An 18-year-old female was shot and killed near Ann Road and Tropical Parkway around 11 p.m. Saturday. The woman was taken to the hospital but was later pronounced dead. So far police are still looking for a suspect. No other information is available at this time.